What Does DLC Approved Mean? Why Does DLC Certification Matter? 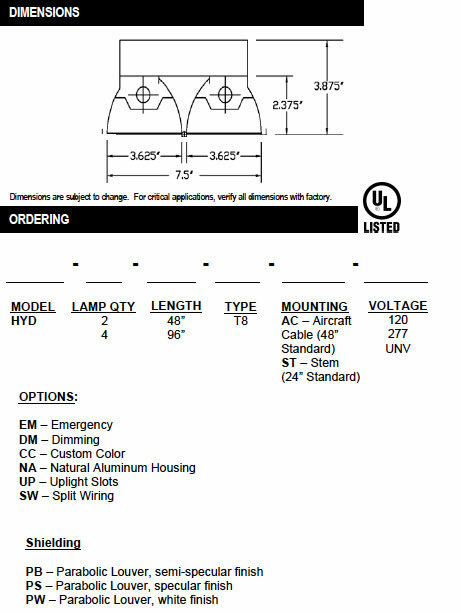 The HYD Luminaire is available in 48” and 96” lengths. T8 only. This unit is designed specifically for retail locations where product representation is crucial. This fixture has light distribution that is ideal for library stack lighting. Pendant, aircraft cable mounting available. 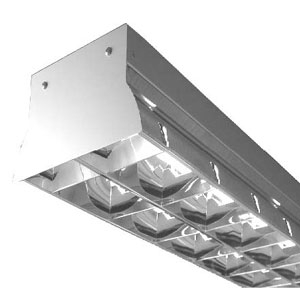 Lightweight and intelligent, this fixture has been designed to assure ease of installation. Standard finish white with custom colors available as an option. Specially-designed housing and reflector system provide direct light to product shelving where most needed. Optional up light slots to ultimate dark ceiling look. The housing is made of lightweight, rolled formed steel for durability and modern aesthetics. Housing exterior comes standard in a white powder coat. Optional natural aluminum and custom colors are available.